Autumn colors for your side table, family table centerpiece or desk at work! 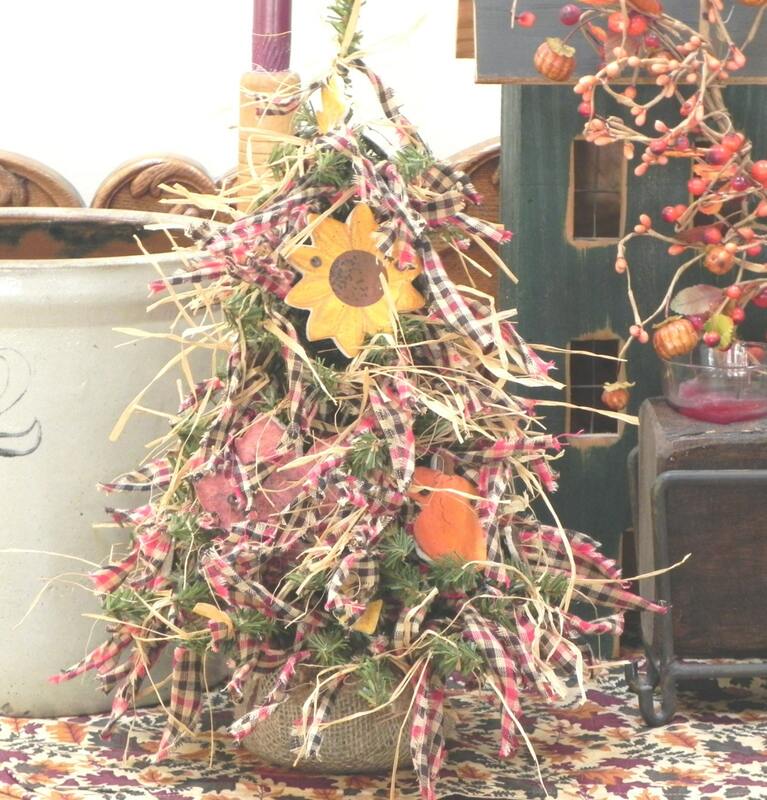 This listing is a 15" table or desktop fall homespun tree. Done in a warm mix of fall - red, black and sand with an extra helping of autumn with raffia ties on practically every branch tip. Salt dough ornaments range from full size (3-4") to minis and include sunflowers, pumpkins, rustic leaves and acorns. This tree makes a statement at 15" and has the fullest diameter with the most tips of any of the trees that I make. This is a OOAK handcrafted decoration, you will receive the exact tree shown.